That is very strange as it works fine on mine. I wonder if there has been a change in design? Just in case, I will check mine out again and make sure the diagram is correct. Yup. checked mine again and it is correct. Are you looking at the pins from the solder buckets side or the plug side? My image shows the pins from the solder bucket side. Looking from the plug side, pin 5 is top left. Good day, Andy did you manage to get the cable working? I saw your pictures and see that you use the wire diredtly onto the DB9 Connector. Does it not need an interface board? Hi all, i did the same cable as curtis using the db9 connecter and it doesnt work at all. i think we probably need an interface board or something. by the way, a electronical schematic diagram for this radio would help a lot . i did found some hints to open and close some frequencies and i am trying to finder out more. later i will put here some hints if you want it. The other hint is when turning your radio on press and hold PTT key and MON key together and it will beep … after that you will not be able to use frequancies starting in 500Mhz. if you do it again it will open again. Well, so far is the only 2 hints i found but i suppose there will be more. 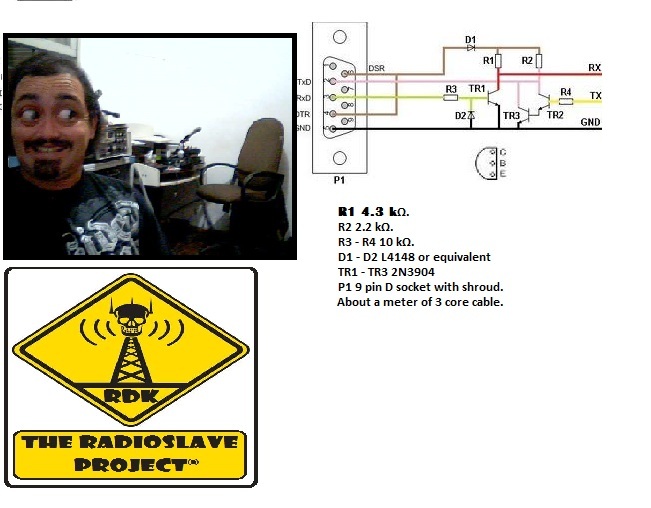 The diagram for this radio is all i need as i have 2 radios but one is with some malfuncion because of bad welding . there was a litle part of a welding that was loose and made a short cute some where on the board. now i have the TX light permanently turned on and i think the radio is constatly emiting in low power. i also can only hear the 88~108Mhz band. since i dont have schematic diagram i cant fix the radio… so it would really help. many thanks and i hope to get more hints soon. Rayden, Thabks a lot for the tips. Can you confirm that the pinouts shown on this website is correct? I still have an issue with the board that i was building and is busy to investigate what the reason is for not “talking” to the radio. Soon i will share the pc board with all. Hi Curtis, i already buyed a USB cable to do this, but i still want to build my hown. as so, i was talking with a friend and he told me that we can not use the cable directly. it have to be together with a converter from TTL to Cdos because the pin out uses 12v and the radio uses 5v. about the correct pin out i cant really assure that this connections are the correct connections. only after i get the usb cable i will be able to have sure and then i will build the new cable to help us doing that. when i have done i will put every details here to help further people to build it. Hi all. i didnt suceed to build a data cable as i get a usb cable from a retailer and programming this radio is very easy. in due to help people to know the radio connections i was searching for schematic diagrams of the radio. i found several data of this fantastic radio that will help me in my litle problem with one of my 2 radios, and to other people that may get problems with malfunction and so. so far, all i get is in a rar file that i will share with all here. It contains : schematic diagrams of the boards, pictures of all sides of the boards, instructions in english and russian, drivers to win Xp/win vista/win7 usb data cable and the program to manage radio memories. also a good quantities of radio pictures. I hope i could be helpfull to everyone and now we already know all radio connections if following the schematic diagrams. Hello, I’ll just give you a hint champion for you … Use USB data cable for Nokia (CA-50), download the drivers from the Profilic configuration and use of the yarns (TX, RX, GND). Remember up, can only be the Nokia data cable CA-50 – another data cable will not serve!! After drinking a cup of coffee for me … 73’s of PU2TBR – Brazil. Christian, le mode clone n’est possible que si vous copiez les données de réseau radio, enregistrer le PC, puis de transmettre ces données à la radio à cloner. Et pour que cela fonctionne, il est nécessaire câble de programmation. La manière traditionnelle (radio à la radio) est impossible. Thanks for the info all. This post seems to be a good resource for the TG-UV2 programming cable. according the TG-UV2 schematics , you need to insert between the plugs and your PC RS232 interface a 1-Wire bus converter.